Experimental wind power developer Makani, owned by Google parent company Alphabet, has partnered with the energy giant Shell to bring its energy kites to offshore environments. The latest kite prototype resting on its perch at Makani’s test site in Parker Ranch, Hawai’i. After five years of development at X and more than a decade of development in total, Makani is now an independent company and is partnering with Shell to expand offshore, Fort Felker, CEO of Makani, said. Makani’s energy kites have the potential to accelerate access to new offshore wind areas and complement the expansion of the wind industry ecosystem, according to Felker. Unlike most floating offshore wind technologies deployed at water depths greater than 50 metres, Makani’s kites don’t need to be supported by large platforms. The plan instead is to mount the kites on small spar buoys moored with a synthetic line and gravity anchor. ”This is possible because Makani’s kites are 90% lighter than turbines of a similar power rating and the overall system is smaller, replacing tons of steel with lightweight electronics and smart software, which reduces overall costs,” Felker said. The testing of the new floating offshore system will start in Norway later this year, according to Felker. ”Adapting Makani’s energy kite technology to offshore environments is an exciting technical challenge, and we’ll be drawing on Shell’s extensive engineering and operational expertise with floating structures to make this transition. We plan to kick off testing of this new floating offshore system with demonstrations in Norway later this year, and we’re developing additional partnerships to help us bring Makani’s commercial system to life,” Felker said. This is Shell’s second venture into kite energy projects. 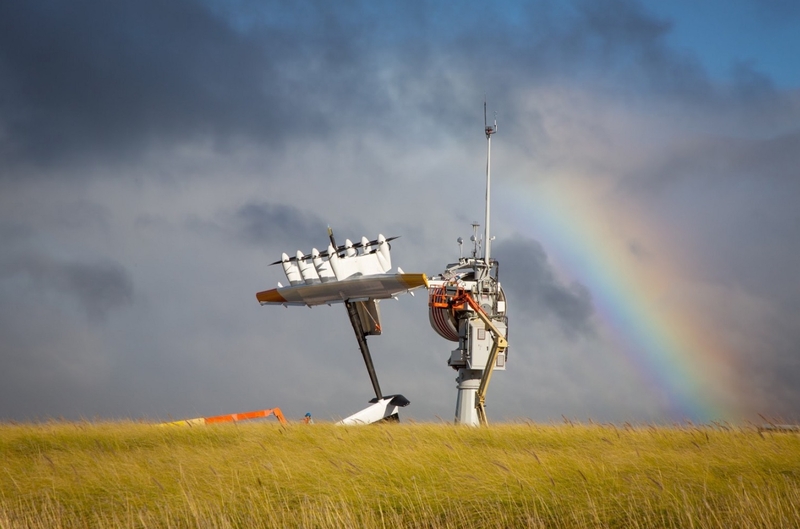 In December 2016, Shell Technology Ventures (STV), E.ON and Schlumberger invested some EUR 6 million in Kite Power Systems (KPS), a UK start-up company developing high-altitude wind power generation technology.